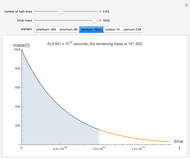 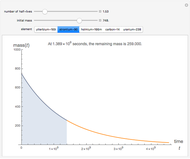 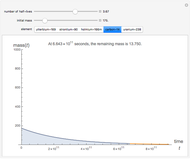 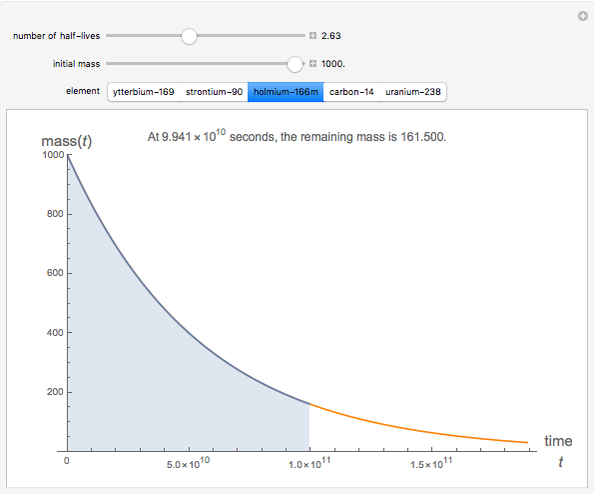 In this Demonstration, you can select the decay time and initial mass for one of five radioactive elements. 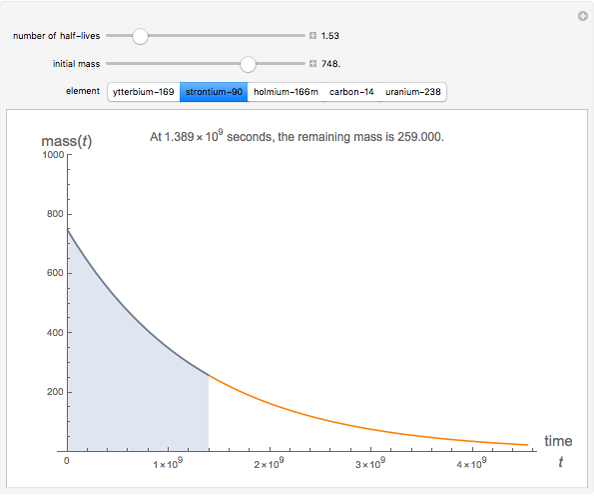 The remaining mass of the element is then shown as a function of time. 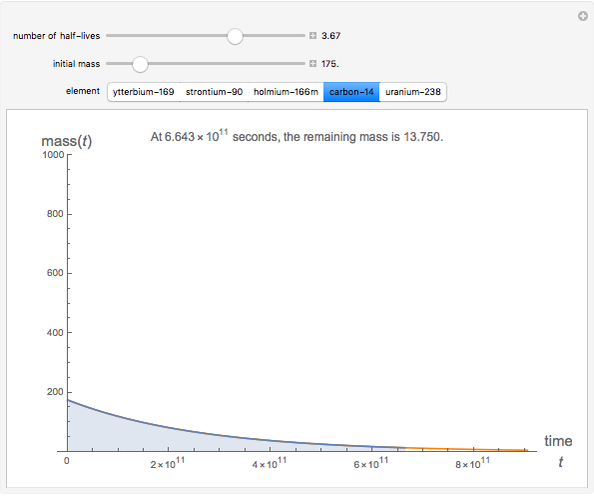 Mito Are "Radioactive Decay of Five Elements: Time Dependence of Remaining Mass"